January is the perfect time to start thinking about how you’re going to spruce up your outdoor spaces for spring, and nothing makes a space look more neat and tidy than new trash receptacles. We offer 12 different color options for receptacles so that you can choose one that will fit in with the design of any space. Our products will never need painting, because we’re pretty sure that painting a trash can is going to fall to the bottom of your to-do list. You’ll get to choose from flat lids, arch lids, or polydome lids, which will undoubtedly be the most unusual choice you’ll make today. Nothing livens up an outdoor space quite like a hunter-green receptacle with an arch lid, even if people can’t quite put their finger on what you’ve done to make things look so put together. At Premier Polysteel, we want to make your trash look good. Our trash receptacles come with a 20-year warranty because we believe in doing things right the first time instead of fixing them later. Plus, if there’s one thing you don’t want to have to think about for 20 years – it’s your trash. 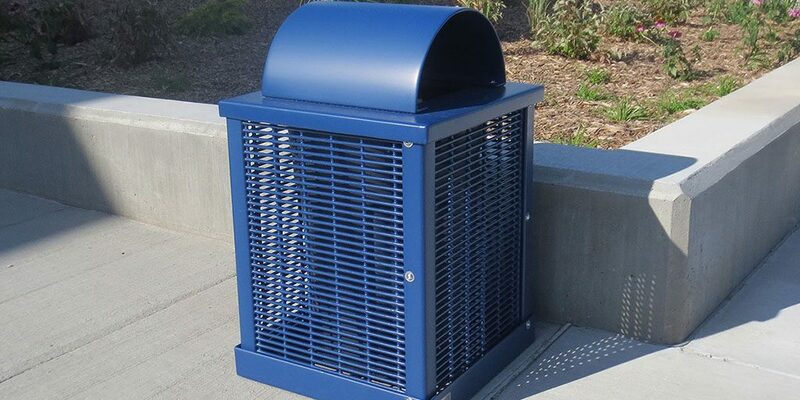 Our receptacles last so long because they are made with durable poly-vinyl coated steel that filters out UV light, stands up to all weather conditions, and never rusts. We make things tough so that they’ll stand up to the elements and to heavy usage. We’re way too particular about how our products are made to make them anywhere but in our hometown of Northwood, Iowa. We’re one of the few commercial outdoor furniture companies who make all of their products in the U.S.A. Because of this, we can ensure that your product will be carefully assembled all the way through the packaging process. Once it arrives, you won’t have any trouble following our easy assembly instructions, but if you need to reach us – we’re easy to find! Our local manufacturing team allows us to ensure that all of our products are exceptionally sturdy. In fact, we’re positive that none of our customers have ever had to chase a runaway trash can. Our attention to detail applies to all of our products because we have high standards, even for trash. 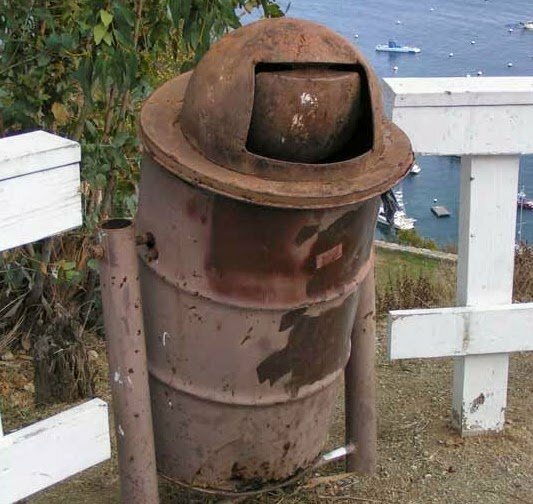 Protected metal – A metal trash can might start out looking good, but it will inevitably rust after being exposed to the elements. There are very few things more unsightly in the world than a rusty trash can. 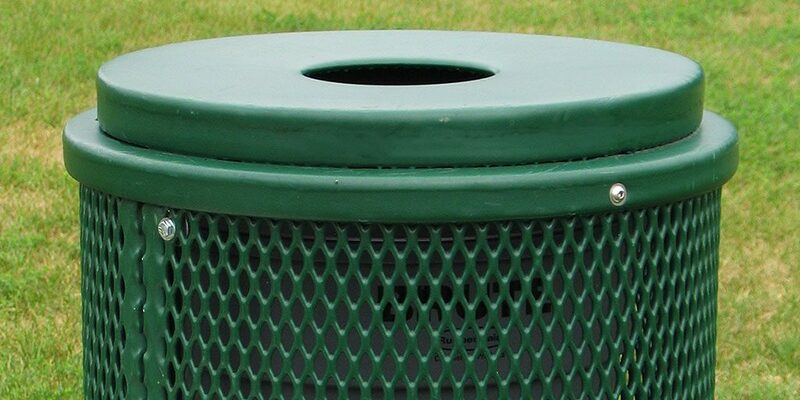 Buy a trash receptacle with a protective coating, like our poly-vinyl coating, that will never rust. Antimicrobial material – We add an antimicrobial material to the poly-vinyl coating on our products to make them resistant to bacterial and fungal growth. This is particularly important when you are buying something that will hold trash! Plus, it helps make cleaning quick and easy. This is just one of the ways that we ensure that our products are low-maintenance. Sturdiness – A trash receptacle doesn’t do anyone much good if it’s blowing away in the wind. We manufacture all of our products in our hometown of Northwood, Iowa, so that we can ensure that they are built to be sturdy and reliable. Durability – Save money in the long run by buying a high-quality product that will last. Our receptacles resist UV light that can cause fading, and they never require painting. 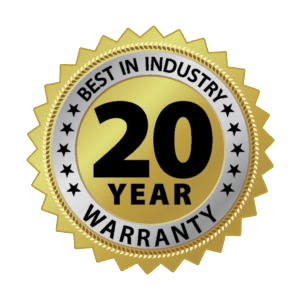 Our products are so durable that we offer a 20-year warranty, even though no one has had to take us up on it yet. Design – Why shouldn’t every element of your outdoor space look good? We let you pick the color, lid type, and surface pattern of everything – including receptacles. No one should tell you that you can’t have bright purple trash receptacles if that’s what you like. Contact us for more help in your trash can selection.